The Pocket LEDRAMA Bi-Color On-Camera Light with Removable Diffusion is a powerful light suitable for use mounted on a camera, stand, or hung from a grid. 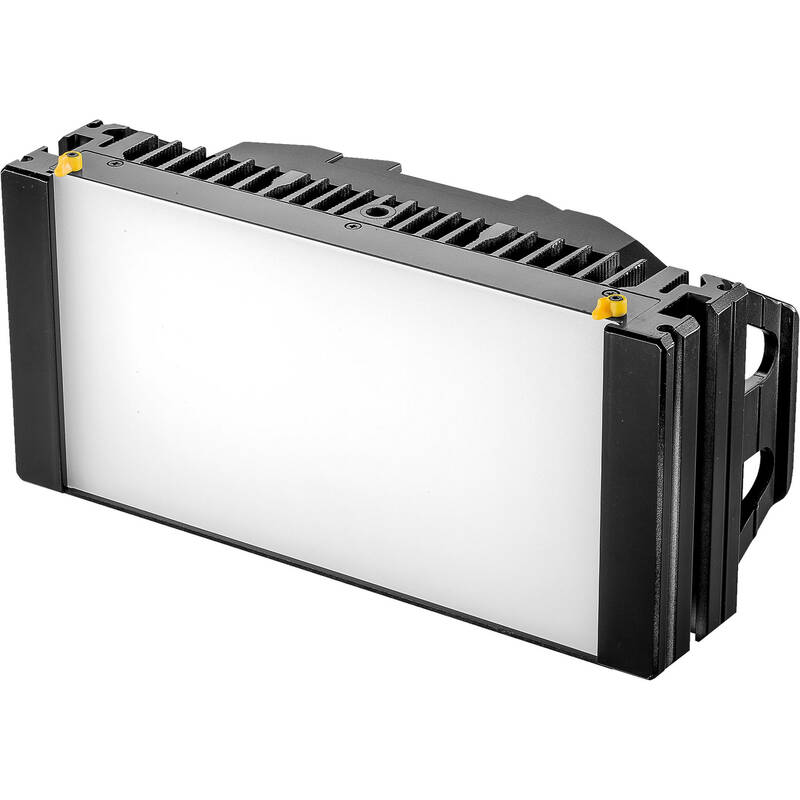 It features a variable color temperature from 3200 to 5600K and dimming from 100 to 0% brightness. With a flexible input voltage range of 6 to 18 VDC, the light draws a maximum of 17.4W at 15 volts. It can be powered by an AC to DC adapter via the 2.5mm mini jack, or by an L-series type battery via the built-in L-series battery plate. An integrated display screen shows you the color temperature and brightness of the light, so you know exactly what the fixture is outputting. The integrated 1/4"-20 threaded mounting hole provides for a wide variety of mounting options, while the including mounting adapter enables mounting the light via a cold shoe or a light stand with a Baby Pin.